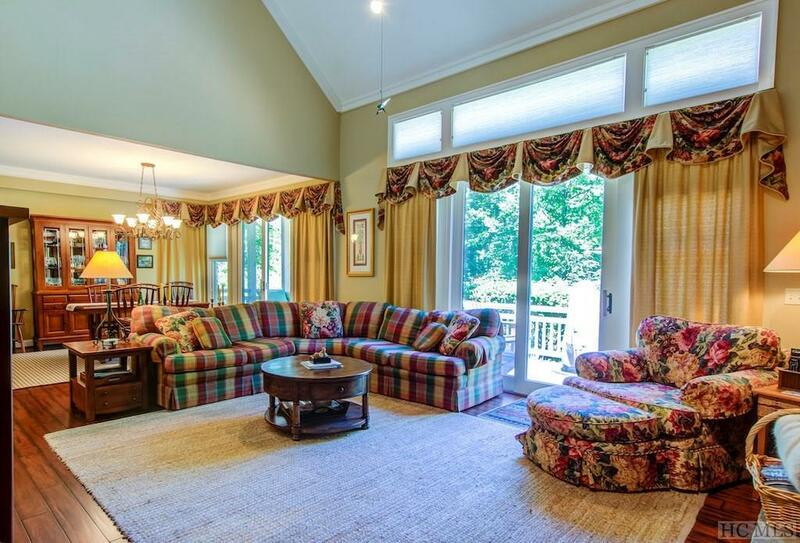 Affordable Country Club living in Highlands NC can now be yours. Calling all golfers, owner has one of the rare remaining equity memberships in CCC & will entertain assistance with Golf initiation fee with an acceptable offer. This perfectly sized meticulously cared for home inside the gates of Cullasaja Club offers all one needs to make that dream come true. This 3 bedroom 3.5 bath home has it all at a great price. The home is privately tucked away amidst rhododendron & other beautiful mountain foliage & features stone, wood shakes, & board and battens siding which come together to create a totally charming exterior. Upon entering the home you and your guest experience a relaxed comfortable atmosphere with that special Highlands charm. 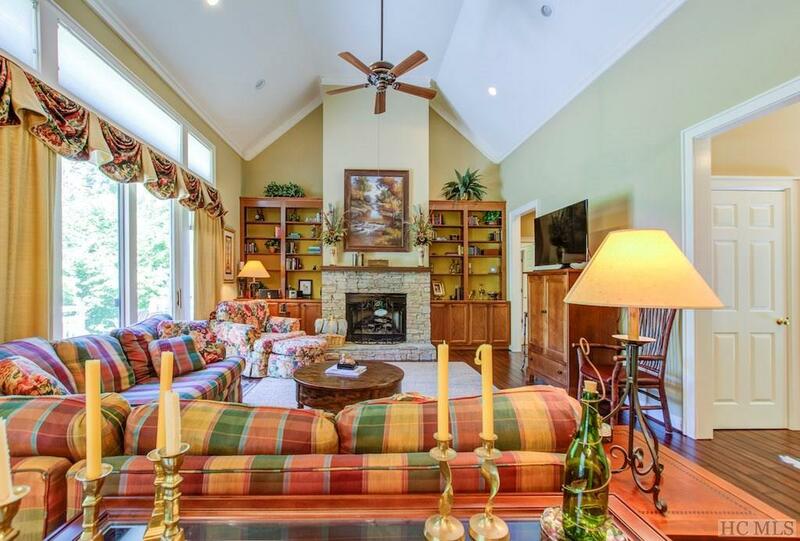 The great room offers high vaulted ceilings, a stone fireplace & built in bookshelves all of which create an comfortable area for lounging around the fireplace on cool mountain evenings. The great room opens to a charming dining room and kitchen complete with wide plank hardwood floors & wonderful windows that allow natural light & nature inside. The master on main features vaulted ceilings, bay sitting area & private door leading to your deck for morning coffee & relaxation. Master walk in closet is cedar lined. Each of the other two bedrooms feature its own bathroom. The roomy deck off the back provides ample additional space for entertaining or simply enjoying the beauty of the mountains. Views are of the golf course & Ravenel Lake. 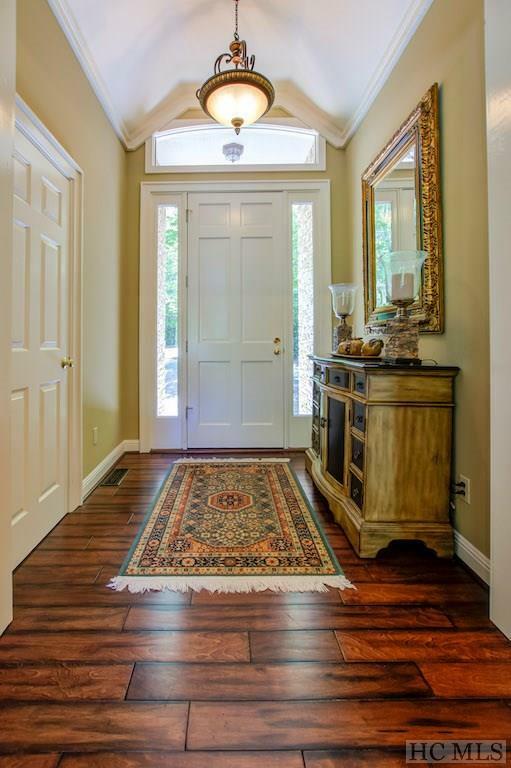 Home comes with your own canoe to enjoy Lake Ravenel. 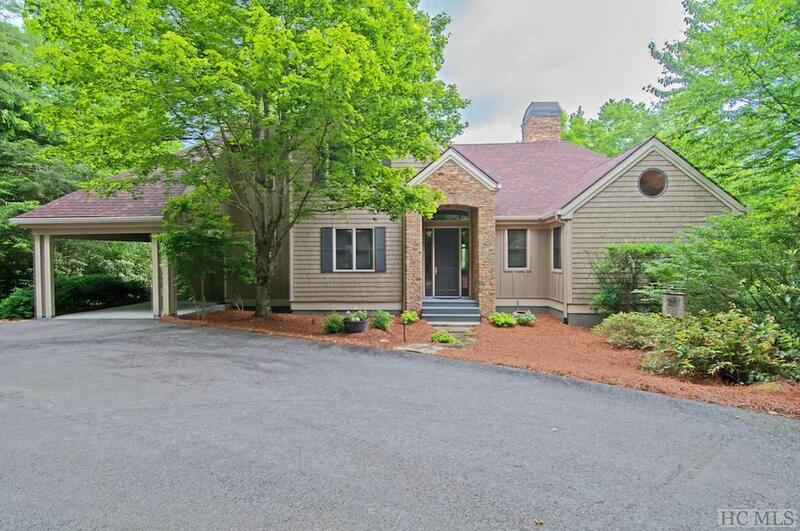 The home offers access to the many neighborhood amenities & Country Club if desired & is just a very short distance to both downtown Highlands & Cashiers. Highlands has it all from fine dining, upscale shopping, concert venues, Professional Broadway style live theatre at the Highlands Playhouse & much much more! At this price you can put your own signature on this home or simply enjoy the best of the area at a wonderful price.